The advantage of Gurunavi is that you don’t need to sign up the membership for making table reservation through this web site. Also some reservation is not required questioning and replying, just send your web form and just respond on an automatic generated Email. You just got to check the confirmation Email and visit. Let me guide you step by step. 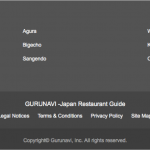 Conditions on using this guide: Please be noted, from here below is guiding and showing based on Gurunavi Inc. site. Each full sized pictures averagely around 1MB, some of them reach 2MB or above. 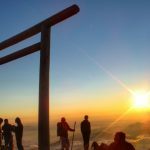 The guide is totally relying on the Gurunavi web site it self and google web translator, any trouble occurred by incorrect translation or whatever is not my responsibility. Open Gurunavi web site Gurunavi. You can find the link to English, Chinese, Korean and Thai on the right top corner. and now you are easy to find a restaurant in your destination area. Select a favourite restaurant, open it restaurant details page. For example, “Ku ku ru“. You can view menu, photos and map in addition to its general information. This information is kind of enough if you are looking for some general information. But it’s not even attractive compare to Japanese page. 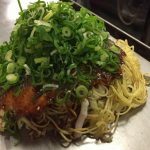 Scroll down to the bottom of the restaurant details page. 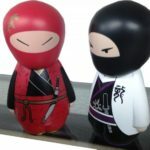 Find “ぐるなび日本語版” to jump back to its Japanese site. 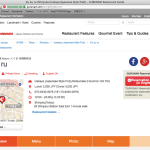 Now you must be viewing Japanese page of the restaurant you have chosen. In order to see this in your language you need Google Translate Web – iTools. 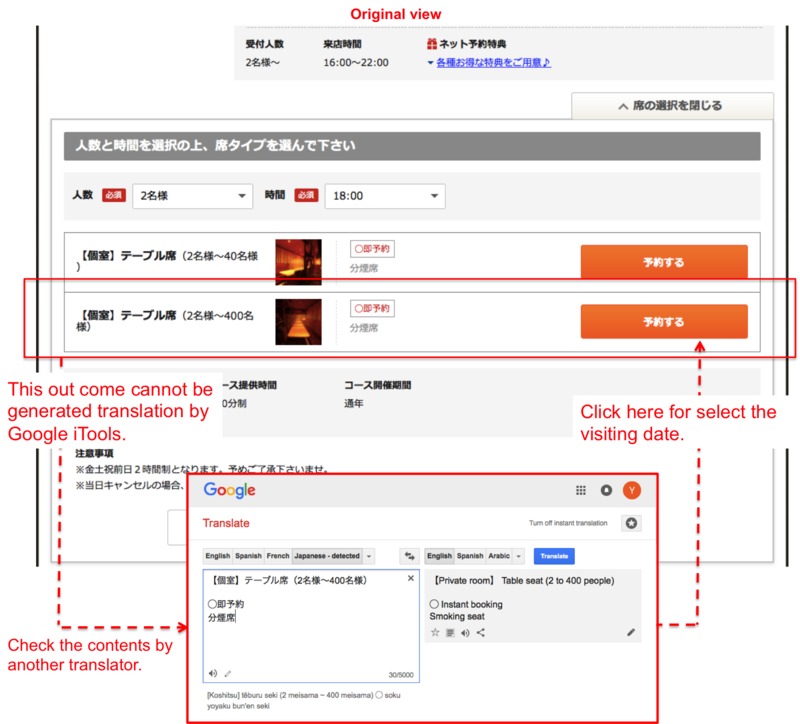 Copy the URL from the Japanese page that you want to see, paste it in Google Translate Web and click “translate”. You see now full of mouth watering advertisement. Not just that, you can find variety of coupons and peoples reviews (said Word of Mouth) that you didn’t see in multi language site. 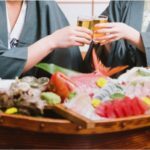 Calm down and scroll down, here’s another great feature only with Japanese site, restaurant’s proud courses and/or discount plans. Now now, shall we try reserve one of these courses through the web? 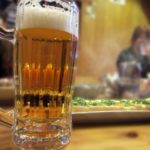 Most of restaurants offer good deals. I know it is hard to select one, but you have to do select one unless your stomach allows more than one meal. I prefer translated view is reference use only. Navigation shall take place in the original Japanese view. Because later on, some things not appeared translated. 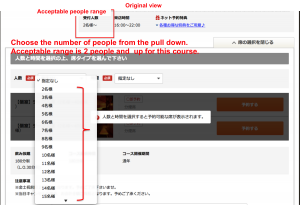 Now let you chose one course and click “空席確認・予約” in original page. The course details appears. If it is satisfactory, scroll down and input the “Number of People” = 人数 and the visiting “Time” = 時間. 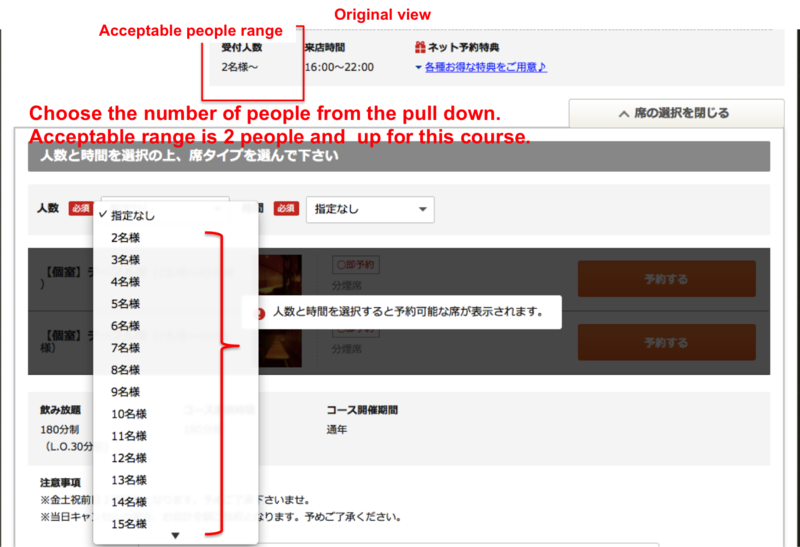 Select the “Number of People” = 人数 from its pull down. 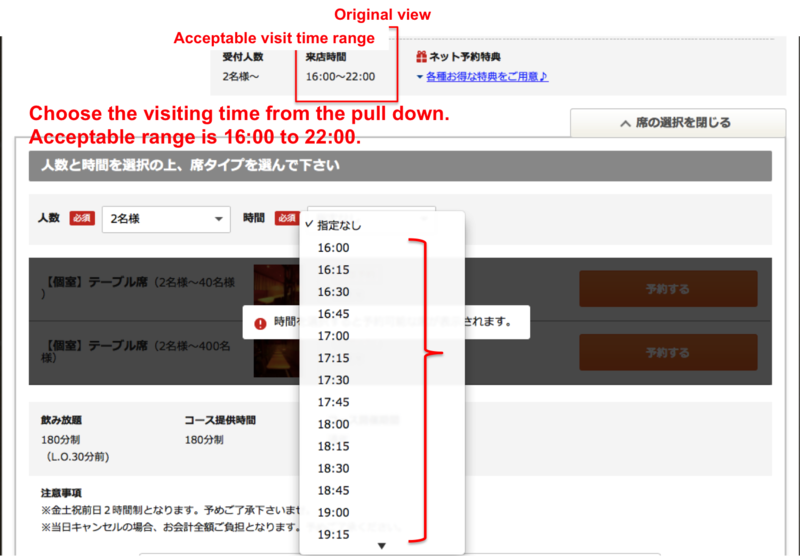 Next select the visiting time visiting “Time” = 時間 from the pull down. Now it must be showing the available seat type. 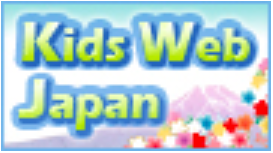 You cannot view this in web page translation. Please use google translate or another translation service to check the contents. 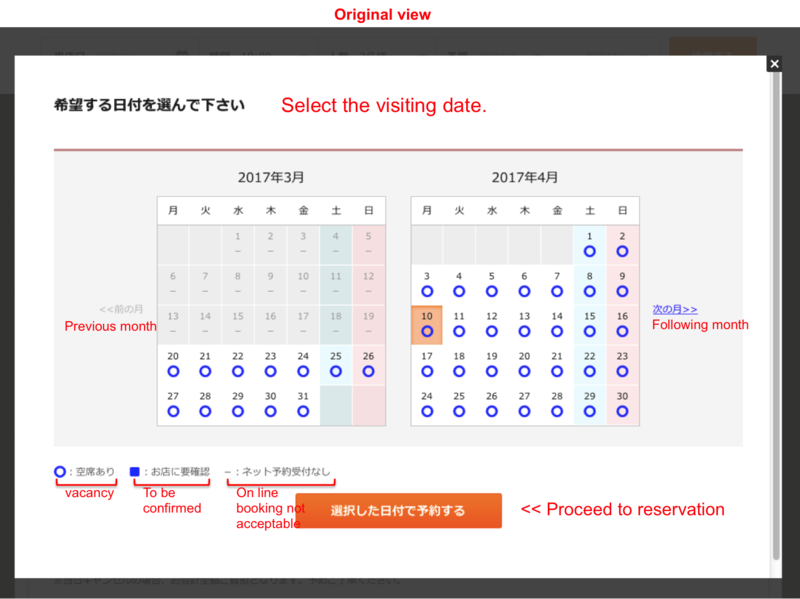 It proceeds to select the visiting date. Select one date from the calendar it showing. Dates with Ο signs are available. Don’t choose other signed date, you will be needed to communicate with Gurunavi or the restaurant itself. 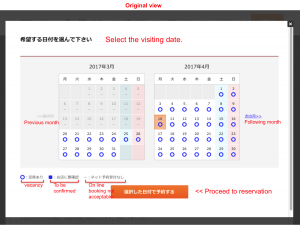 Click “選択した日付で予約する” and it proceeds to the reservation form. You must be viewing the web format for reservation now. 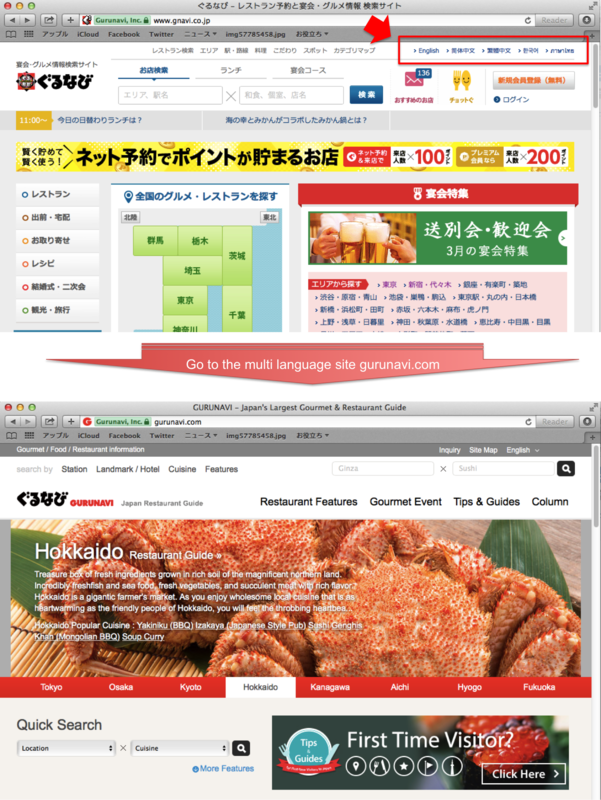 Again, this view and later ones would not be showing on Google Translate Web. I will show you how you can fill up. Ah, yes, you need Hiragana for your name. 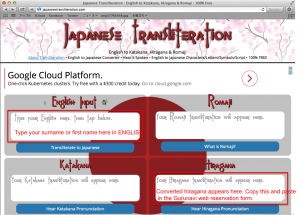 Try this web site japanesetransliteration.com, it is very helpful to get your hiragana convert from English writing. 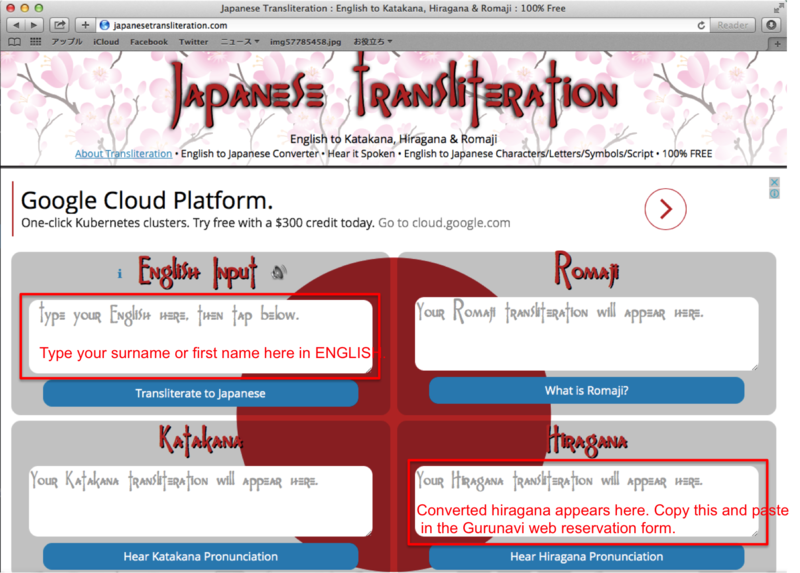 Enter your English name in upper left box, get the equivalent hiragana in lower right box. But be careful, the pronunciation is awfully different from the original English one. In case you already have your own hiragana name, of course you can use it as well. 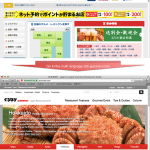 After you complete the web form and click “確認画面へ進む” checking page will appear before you send this form out. As successful of sending the format, you’ll receive a Email from Gurunavi. 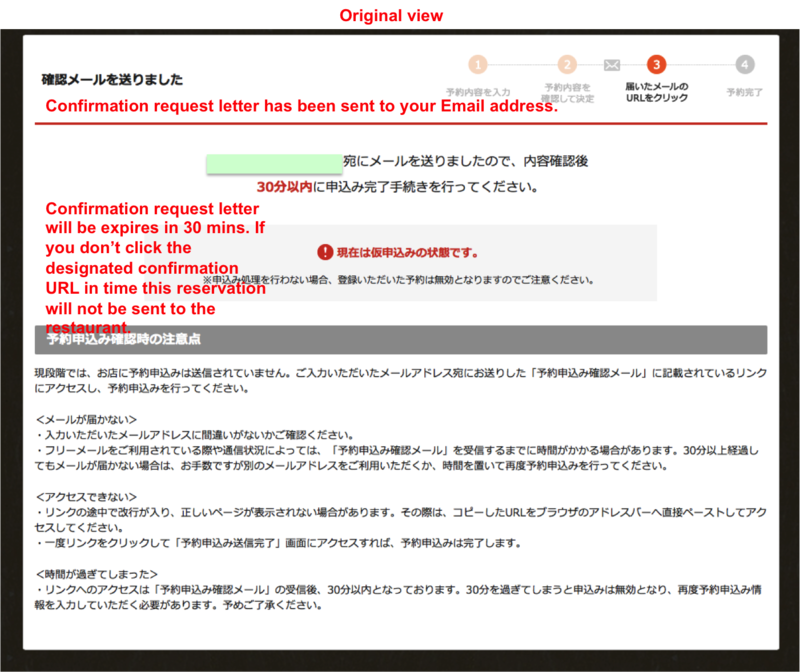 and the web page went on to next , which reminding you the confirmation request Email will be expired in 30 mins. In case you failed to give confirmation in time, your effort up till here will be gone off. So, it is necessary you to use your E-mail address that you can access in any moment. 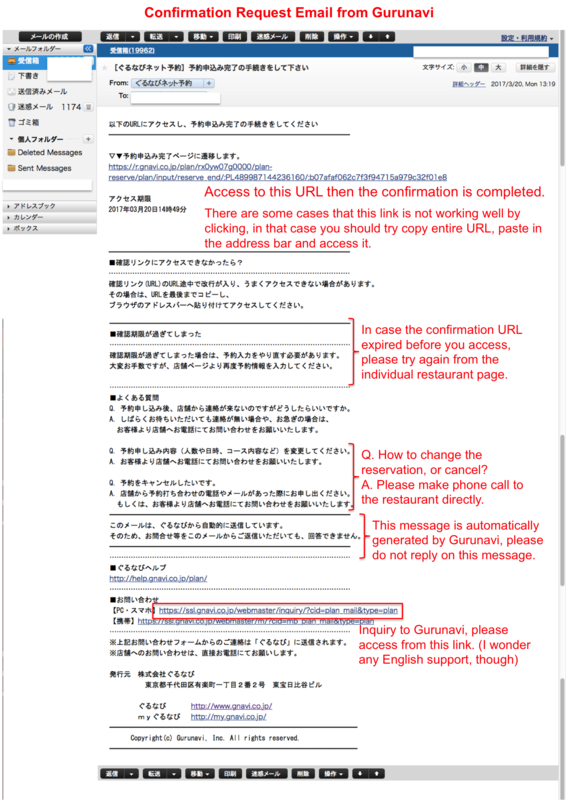 The final action is simply open the E-mail from Gurunavi and access the URL it showing. Final Step. Enjoy the meal! It must be successful your reservation now. 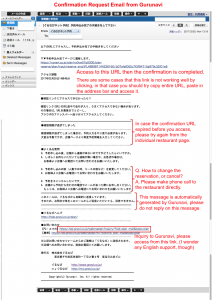 But in order to make sure no fault, you better check (with translation tools) carefully any message from Gurunavi. 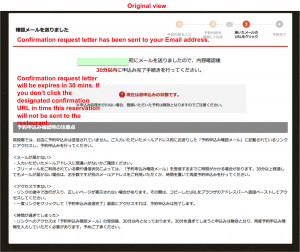 It is better print out the appropriate letter or page and bring to Japan. It may also help you get to the restaurant, too. Alright, I hope every thing is going fine. I kind of surprise if you go through all above, you must be a gourmet persister, having a good patience. 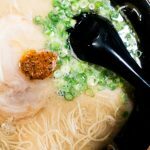 Wishing your appetite will be satisfied there in Japan!! 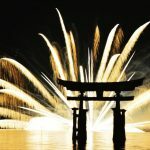 Copyright © Travel Japan, Make Your Day All Rights Reserved.